Bill and Lisa Stromberg felt a strong desire to give back to the Catholic community. Their goal was to do so in an intelligent way, in a way they felt would be efficient. 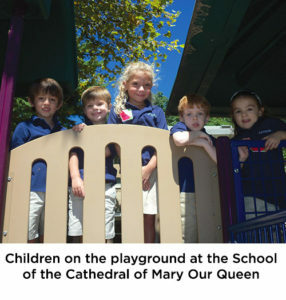 Bill Stromberg says, “We believe education was one of the best investments we can make.” They chose to establish an endowment with the Catholic Community Foundation, part of which supports the School of the Cathedral of Mary Our Queen, with the other part allocated for the education of seminarians.